If you are mad enough to have signed up for a 10Gbps fibre broadband service in Singapore, you’d be happy to know there’s a new Asus switch that handles the ultra-high bandwidth coming into your home. 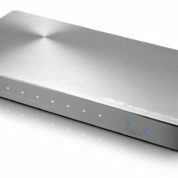 The XG-U2008, unveiled in October and out now in Singapore, comes with two Gigabit Ethernet ports that support the 10Gbps speed, enabling you to connect to the fastest fibre broadband services here at full speed. 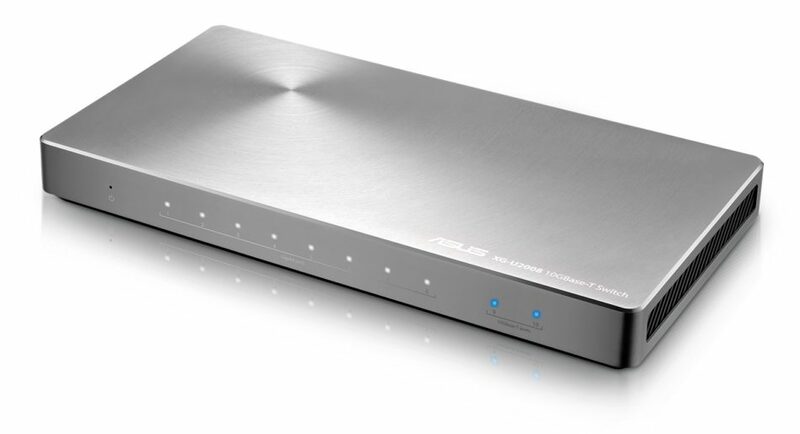 If your PC has a fast 10Gbps network card or if your network attached storage (NAS) device at home has the same need for speed, the Asus switch will fit right in. 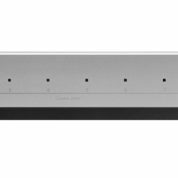 It also sports another eight regular Gigabit Ethernet ports that go at 1Gbps. These can be used for other devices that don’t support 10Gbps yet. What will delight users is the cost of S$369. That’s no small change but it is a lot cheaper than other 10Gbps gear, which usually cater to enterprise users and cost several times more. Asus’ new switch could signal the arrival of more 10Gbps devices aimed at consumers and small businesses, just as Gigabit Ethernet filtered down to more cost-conscious buyers in the past. Aimed at these users, the XG-U2008 also looks the part of a consumer gadget. There’s an aluminium finish at the top, something you won’t find in more staid-looking switches deployed in a network room. 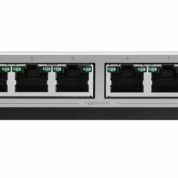 The new switch is unmanaged, so you don’t have to configure it to get going, unlike more sophisticated switches. To help networking newbies get up to speed, the three-colour LED lights show whether you’re going at 10Gbps or 1Gbps or if you have a connection problem.